Thank you so much pachamama! 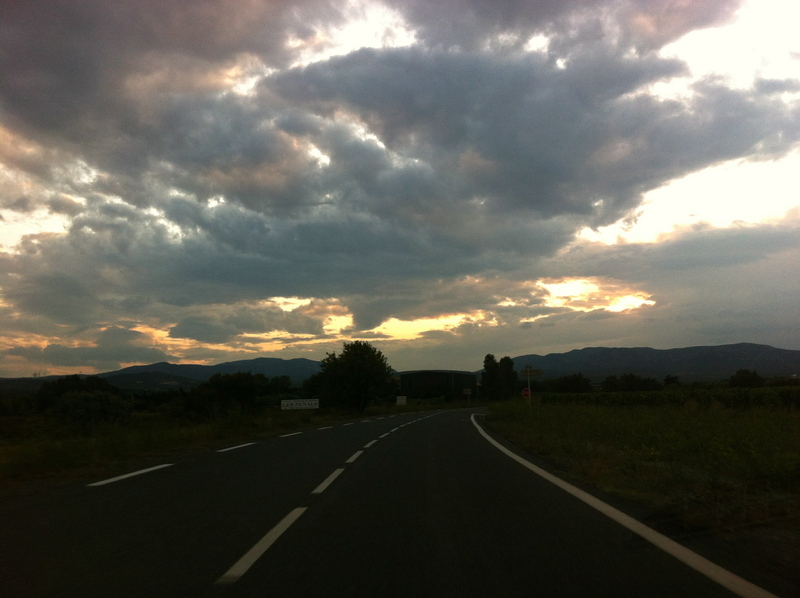 Beautiful evening sky on the road home from Treilles. 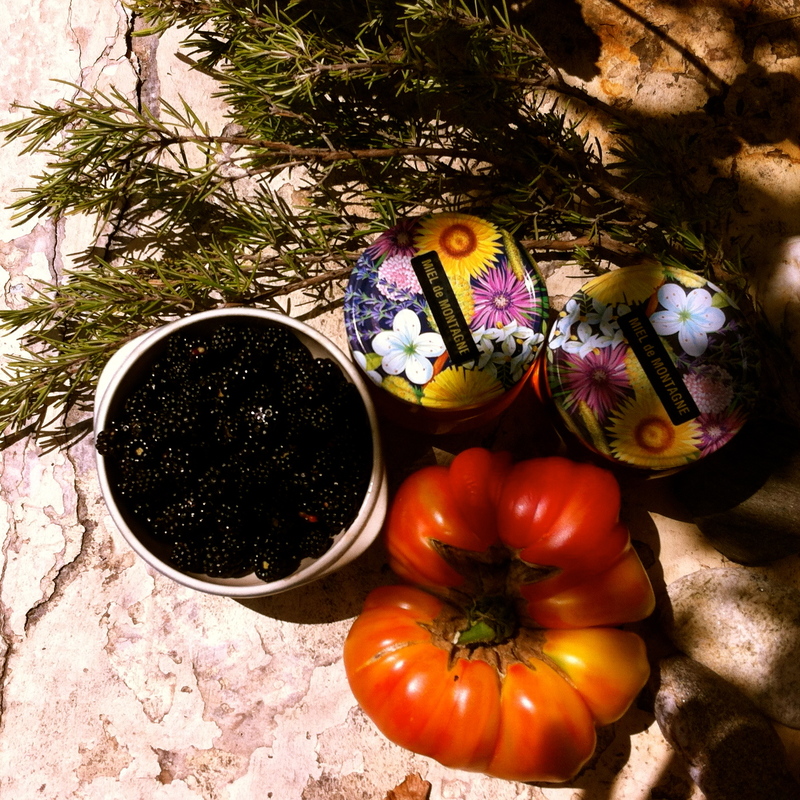 Wild berries and rosemary, a beautiful dramatic tomato and honey from the neighbours.